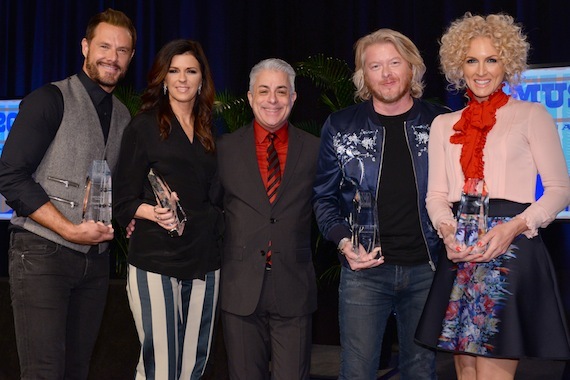 Little Big Town accepted the Artist of the Year award from the Music Business Association at the annual Music Biz conference in downtown Nashville on Wednesday afternoon (May 18). They received the all-genre award from Music Biz President James Donio. Although they did not perform, each member of the band had kind words to share for their business team. “They’ve been around longer than anybody. They were with us many years and didn’t make a dime,” Westbrook interjected. 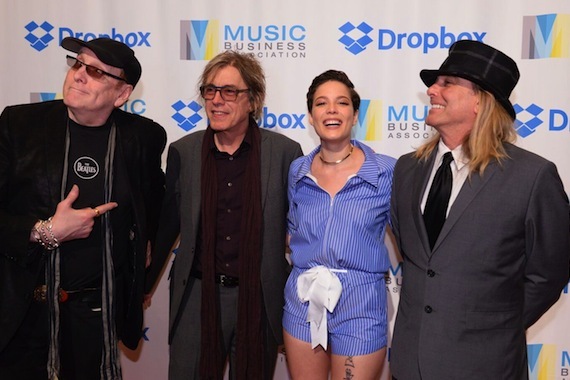 “Our label over here – Mike Dungan, Cindy Mabe, everyone at UMG. I don’t know what year this is together, that we’ve been putting music out. A long time. And thank you for letting us follow our every whim, and you always do. We just appreciate the team the hard work there. 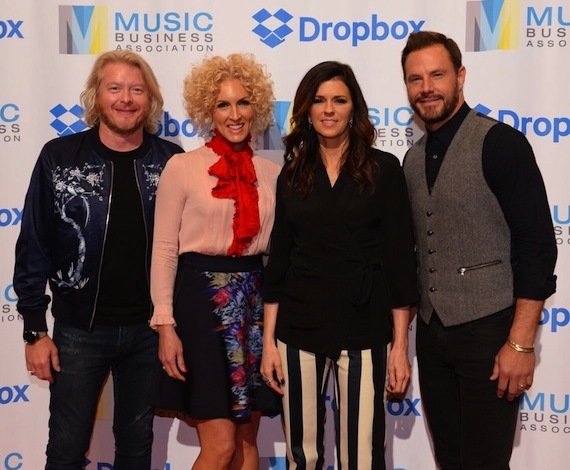 So thank you very much,” said Karen Fairchild. 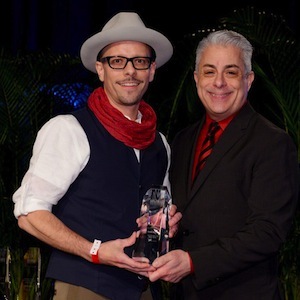 Breakthrough Artist awards were given to alternative pop star Halsey and MCA Nashville artist Sam Hunt, who was unable to attend due to illness; his award was accepted by manager Brad Belanger. The Chairman’s Award for Sustained Creative Achievement went to Big Machine Records artist Cheap Trick. During brief remarks at the podium, they thanked Scott Borchetta and Vector Management founder Ken Levitan for giving them a platform to continue working. Cheap Trick was inducted into the Rock and Roll Hall of Fame this year and released a new album, Bang, Zoom, Crazy … Hello on April 1. The Harry Chapin Memorial Humanitarian Award was presented to the T.J. Martell Foundation, accepted by CEO Laura Heatherly. 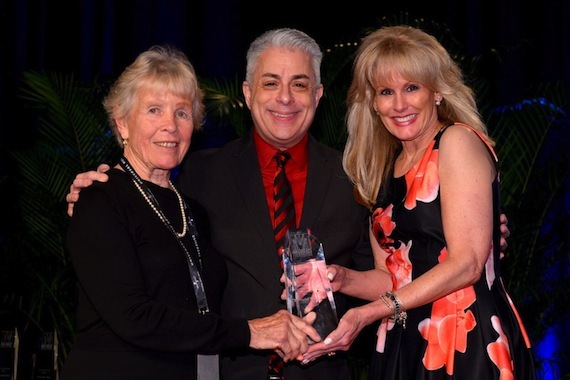 The latter award was presented by Chapin’s widow, Sandy Chapin. A video speech from Tony Martell, who founded the organization in memory of his son, was screened as well.